While most heroes lack a secret place to hang their hat, those that have headquarters hold the keys to a collection of their triumphs and defeats with a space to improve their derring-do. 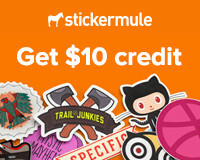 Of course, as we will discover, heroes don’t hold an exclusive market on secret hideaways. I should note, I chose to ignore cities, planets, and countries like Latveria, Atlantis, Asgard, Attilan, Themyscira, and Oa out of personal preference. Home to the Ancient One and his servant Wong, the Sanctum Sanctorum is an unassuming three-story townhouse in Greenwich Village marked by some arcane symbol in its loft window. The building would become headquarters to the Ancient One’s protege Dr. Strange, Earth’s Sorcerer Supreme, and his Defenders. When one walks inside, however, the space is significantly more expansive than the borders seen outside. A veritably labyrinth of hallways and rooms, the structure was built atop a focal point of mystical energies that shifts with certain rooms always in the same place and others change through the passage of time. Some notable features include an expansive living room and adjoining library, a meditation room, Wong’s storage cellar, a room exclusively for the Orb of Agomotto, and a small courtyard. Built by Stark Industries and designed by Tony Stark, Reed Richards, and Forge, the Helicarrier is the flying fortress base of operations for America’s S.H.I.E.L.D. agency, fighting terrorist and superhuman threats to the country (and oft-times the world against alien invasion). There have actually been many several Helicarriers with most destroyed and others dismantled (sometimes, there’s been several Helicarriers operating simultaneously). In addition to being made to withstand heavy assaults, the Helicarrier can dish out punishment with missiles, machine guns, and anti-armor artillery. Massive with crew quarters, laboratories, war rooms, and a hangar and landing strip hosting several high-tech fighter jets, helicopters, and flying cars, the mobile headquarters can bring an army to any location on Earth within hours. Troops are supported by a large cache of weapons including plasma-beam pistols and rifles and Mandroid armor. 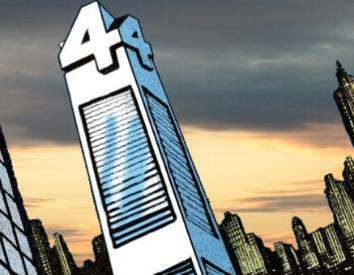 Headquarters for Reed Richards and his Fantastic Four, the Four Freedoms Plaza is a hundred story Manhattan highrise built on the site of the former Baxter Building after the former’s destruction. The bottom fifty-floors dedicated to the displaced Baxter residents, the building was designed by Richards to stand up to enemy attacks from supervillains, aliens, and more. It was identified by the number four atop the building observed from the outside that can be seen making up the four highest stories. Featuring easy access for the Fantastic Four, the skyscraper has plastic tubes throughout for Mr. Fantastic and an empty elevator shaft for the Human Torch. The other fifty floors are made up of a lobby to greet visitors for the heroic quartet operated by robotic receptionist Roberta, guest quarters (including those designed for Atlanteans), residence for the group’s members, storage, laboratories, recreational and training facilities, hangar, and a two story portal to the Negative Zone. The building would meet its demise at the hands of the Masters of Evil and be replaced by a new Baxter Building. 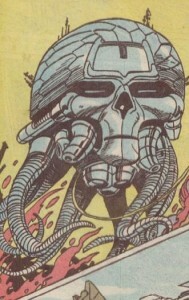 Mobile space-faring command center for Brainiac, the Skull Ship is a massive structure able to raze entire planets. As Brainiac traverses the universe shrinking cities and bottling them for observation, the Skull Ship heralds terror and tragedy across the stars. 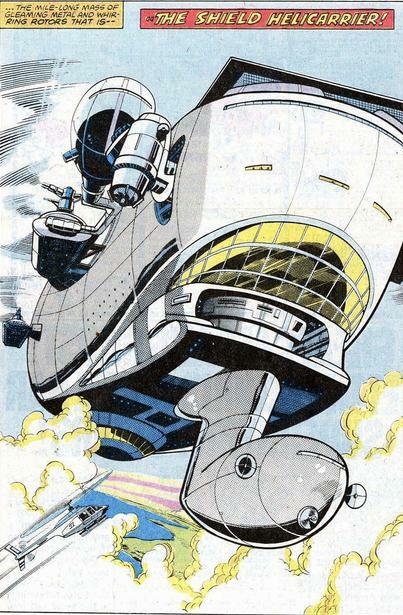 Menacing in appearance, the vessel is outfitted with massive tentacles able to rip cities apart and is staffed by an army of robot drones modeled after Brainiac’s skeletal appearance with remarkable physical capabilities. What may makes the Skull Ship that much more terrifying is that it is directly interfaced with Brainiac, able to act at the speed of his thoughts and each drone acts as an extension of the villain. The home for the wielder of the power cosmic Galactus, the Star Sphere is the entity’s staging ground as he consumes lush worlds turning them into barren husks. Perhaps out of guilt, Galactus downloads the entirety of data of the planets he consumes to his Star Sphere, making the vehicle a repository of vast knowledge telling of the art, history, and science of many civilizations since the dawn of existence itself. In addition, Galactus’ ship is home to a menagerie of artifacts and advanced technology including the famed Ultimate Nullifier, a weapon so devastating, it could threaten the very life of Galactus himself. 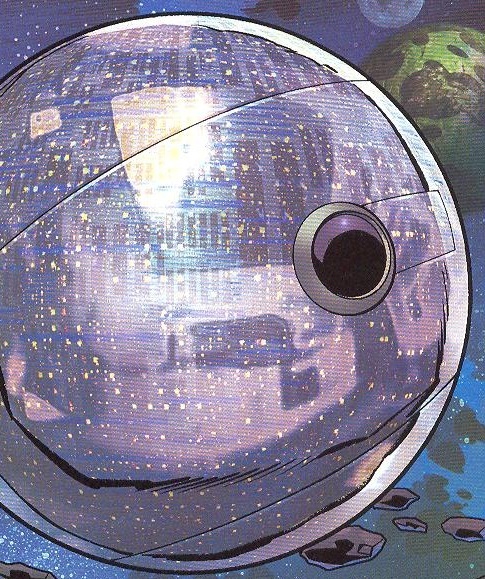 The Star Sphere is massive in size, as it must provide residence to the giant Galactus, and is comparable in size to a moon. While the entity’s heralds are a thing to fear, it doesn’t compare to seeing this massive structure casting its shadow on another doomed world. 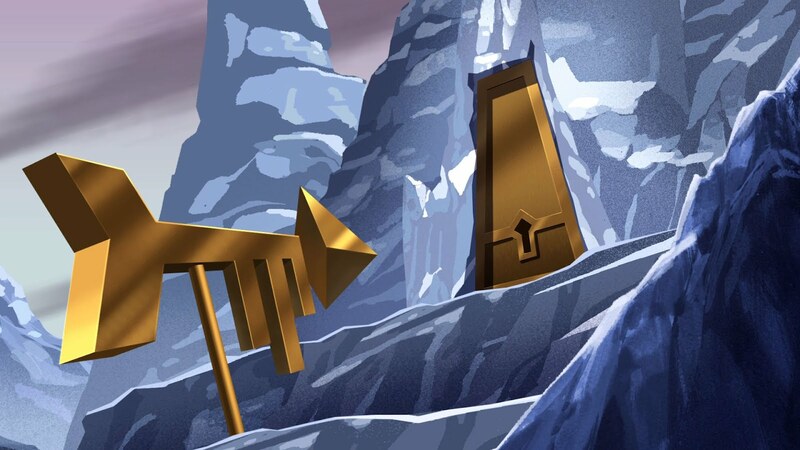 The massive arctic hideaway closed by a gigantic golden door and opened by a giant gold key, Superman’s Fortress of Solitude is his piece of Krypton on Earth featuring enormous statues of his parents holding up a globe replica of his home planet to greet those that pass its entrance. 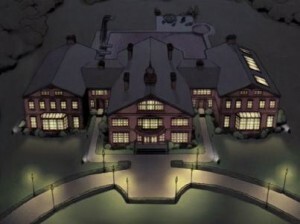 While Superman spends most of his time and living in Metropolis, his Fortress allows an opportunity to escape the demands of being Earth’s greatest hero with accommodations for himself and several guests (various rooms custom for his closest friends including Lois Lane, Batman, Supergirl, and Krypto). 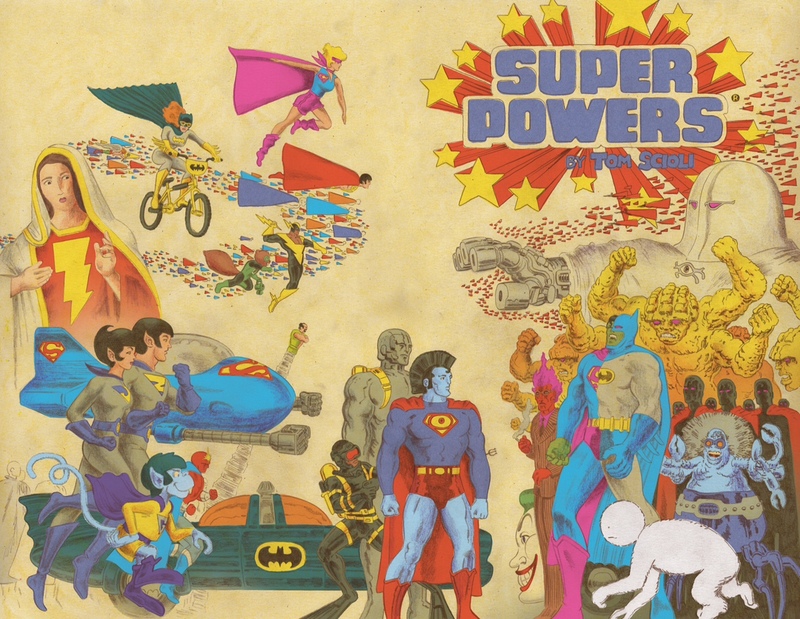 The structure is a wondrous place, with a zoo of various alien creatures in vast confinements based on their natural environment serviced by an army of android duplicates of Superman who have all of the hero’s abilities but at a lesser degree (an early model acting solely as a chess playing partner). Likely the universe’s richest depository of Kryptonian technology, Superman has amassed the likes of a Phantom Zone Projector, Phantom Zone-o-Phone (to see and communicate with Phantom Zone prisoners), Kryptonian weaponry including a warsuit, the rocket that brought the hero to Earth, chrysalis able to resuscitate a Kryptonian back from death itself (used for Superman and his clone Superboy), and various other equipment Superman employs in his scientific pursuits. 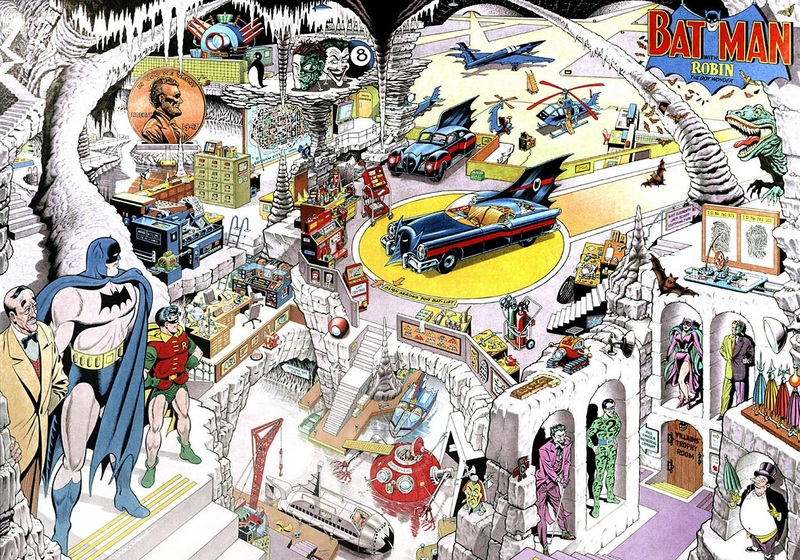 The headquarters would also serve as storage for various trophies and artifacts, such as the Bottle City of Kandor, Duplicator/Bizarro Ray, Brainiac’s mind control headsets, Kryptonite of various colors, and Superman’s Legion of Super-Heroes Flight Ring. Therein, Superman also maintains a colossal memoir of his exploits whose pages are made of steel and a hangar for a space-faring vessel and his Supermobile. A sprawling mansion and estate in North Salem, the Xavier Institute for Gifted Youngsters masks the efforts of Professor Charles Xavier to train and network the world’s mutants towards employing their abilities for creating harmony with mankind and to combat mutants that threaten to enslave or eliminate mankind. These efforts have given rise to groups such as the X-Men (Blue and Gold), X-Factor, Generation X, New Mutants, X-Force, Excalibur, X-Club, Lights, X-Corporation, New X-Men, Young X-Men, Hellions, Corsairs, Advocates, Paragons, Alpha Squadron, Chevaliers, Exemplars, Paladins, and Excelsiors. 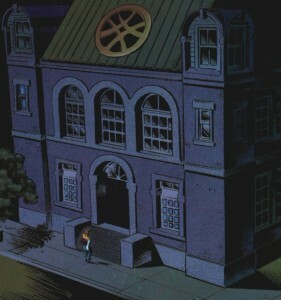 The school offers a high-quality education in traditional means from elementary to college while also hosting classes towards controlling mutant abilities, often culminating into the wondrous Danger Room which employs robots and holograms to offer combat training with a measurable level of danger. Because of the various enemies towards the schools efforts, be it from humans or mutants (and the occasional alien invasion), the walls are reinforced with steel and can take a great deal of punishment (with various hidden weaponry and traps across the grounds to repel various threats). The compound also employs an underground hangar that can open up for the facility’s Blackbird jet (a modified Lockheed SR-71 featuring Shi’ar technology and improvements by Forge) to transport its heroes to anywhere in the world or outer space itself. 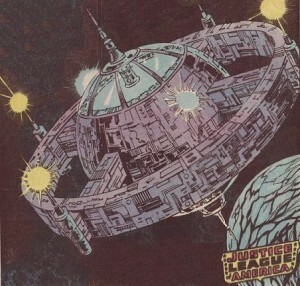 Headquartered encircling Earth’s orbit, the Justice League Satellite was the group’s second base employing teleportation technology to beam members from and to various points on the planet. Stationed in space, the massive structure permits the Justice League immediate access to combat various cosmic threats to the Earth. A large structure, the satellite has hosted the largest iteration of the Justice League of America and Justice Society of America simultaneously offering a vast meeting hall, accommodations for the Leaguers and guests, recreational, training, and exercise facilities, hangar for various spacecraft, laboratories, armory, offices, library, and a monitor room that documents the entire Earth, communicates with affiliate planets, and watches the space surrounding Earth. Likely the most notable aspect of their base is the trophy room. Home to artifacts such as the Amazo android, Starro drones, Dr. Light’s arsenal, Despero’s Justice League chess set, Queen Bee’s shrinking wand, Royal Flush Gang giant playing cards, Kanjar Ro’s Gamma Gong, the Key’s blaster, and Brain Storm’s stellar energy helmet. Even items from the heroes like Batarangs and Green Arrow’s trick arrows are displayed. Though this base would eventually be destroyed, a new satellite was built and includes a room called “the Kitchen” which is a training room using advanced robotics and holograms to offer a challenge for the Leaguers to hone their skills. Hidden beneath Wayne Manor, expansive caves serve as the base of operations for Gotham City’s Batman. Originally, the cave was accessible to the manor via hidden passages for the purpose of the underground railroad as the Waynes helped slaves escape their masters to a life of freedom in the Northeast. Today, it has quick, secure access to the cave which is protected with reinforced walls, heat and motion sensors, surveillance cameras, body scanners, the latest in WayneTech encryption technology for computer files, and holographs for exterior entrances (and fog machines that generate artificial clouds for the hangar’s exterior). The Batcave would be the precursor to security systems Batman installs in the homes of fellow superheroes and headquarters including the Justice League’s various bases and Titans Tower. The Batcomputer therein is arguably the most advanced of its kind on Earth allowing Batman to hack into virtually any computer with internet access on the planet, can perform the most advanced of calculations and analytical projections, access to every television station on the planet, and contains files on virtually every hero and villain Earth has ever encountered as well as protocols to defeat them. Having designed and built dozens of Batmobiles, Batman’s current model would be in close proximity to the Batcomputer with a straight line to the exit while a massive garage employs a giant claw that can pluck the mobile for storage and access any of the Dark Knight’s older models (in addition to Batcycles and Robin’s Cycle and Redbird). A nearby mountain serves as the taking off and landing point for Batman aerial units such as the Batplane, Batjet, Batcopter, Batwing, Flying Bat-Cave, Whirly-Bat, and Batsaucer. The cave’s grotto acts as the main staging point for the Batboat but 240 feet beneath the surface is the Batsub and Batosphere that exits the cave 84 feet below that (though, the cave generally only employs the area 174 feet beneath the manor). There is also a rarely used rocket car that travels on a rail to Gotham City’s subway system. As there are residence and recreational facilities in Wayne Manor, the Batcave is all business with laboratories, training and exercise facilities, and a library. Near the Batcomputer, Batman has glass display cases featuring suits of armor for ancient warriors like a knight, samurai, conquistador, spartan, and centurion and the costumes of fallen comrades. 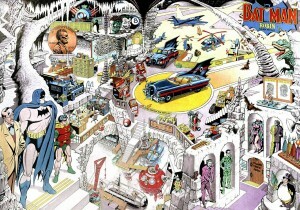 But as with other heroes’ bases, the Batcave’s greatest attraction is the trophy room including the Penny Plunderer’s Giant Penny, Dinosaur Island’s robot Tyrannosaurus Rex, a giant pair of six-sided dice, chess pieces and board, joker playing card, billiard eight ball, roulette table, and bowling pins, Thomas Wayne’s Bat-Man costume, Bruce Wayne’s portrait, Dana Drye’s diary, and effects from his enemies like Joker’s Laughing Fish, Ra’s al Ghul’s sword, Two-Face’s coin, Catwoman’s whip, Penguin’s umbrellas and robot penguins, Riddler’s question mark cane, Mr. Freeze’s freeze gun, Scarecrow’s fear gas, Harley Quinn’s popgun, the original Red Hood’s costume, Mad Hatter’s hat, Prometheus’ helmet, Deathstroke’s sword, Bane’s mask and Venom, Scarface, Maxie Zeus’ lightning bolt, Man-Bat’s serum, Tweedledee and Tweedledum’s hats, Joe Chill’s gun, Catman’s catarang, Deadshot’s gun, Black Mask’s mask, Killer Moth’s armor, Cavalier’s sword, the Mad Monk’s hood, and Judge Clay’s gavel. 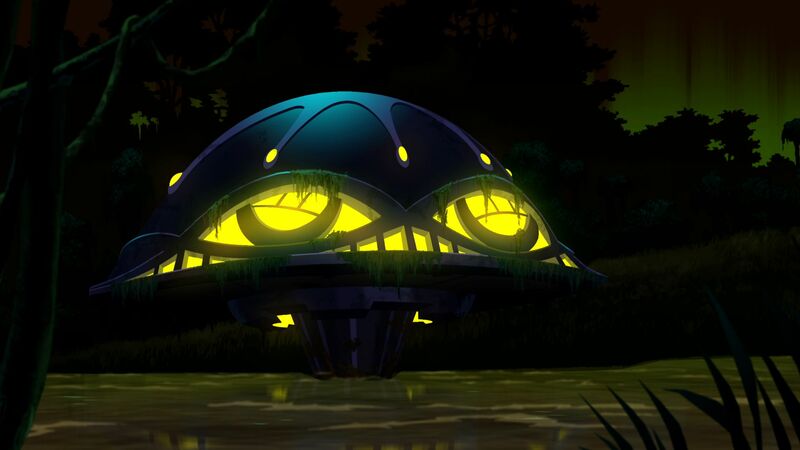 Created for the television series Challenge of the Superfriends for the villainous Legion of Doom and its appearance modeled after Darth Vader’s helmet, the Hall of Doom is a mobile base generally headquartered in Slaughter Swamp just outside of Gotham City. 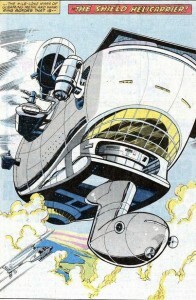 Despite being incredibly massive with quarters for Legionnaires, laboratories, a super-computer, armory, exercise and recreational facilities, and a hangar (where Black Manta’s Manta Ship can often be found), it can fly at supersonic speeds, travel underwater and through outer space, and is even capable of time travel (further, its been shown to be employed remotely). The most notable area of the Hall is the meeting room with a heightened podium for the group’s leader Lex Luthor to address his compatriots and surrounding tables for the other members. Boasting an array of weapons and defenses contributed towards by its genius-level members, the building can keep the likes of the Justice League at bay. The base has been adapted many several times often in various animated series such as Justice League Unlimited, Batman: The Brave and the Bold, and Young Justice, in the animated film Justice League: Doom, and for the video game DC Universe Online. The Hall of Doom has additionally made the transition to comics appearing as headquarters for the Legion of Doom (in Justice), Secret Society of Super-Villains (in Justice League of America: Lightning Saga and Final Crisis), Injustice League (in Justice League of America: Injustice League Unlimited), and Justice League (in Superman/Batman: Sorcerer Kings). It also served as the basis of the Gulag in Kingdom Come and Doom Prison in Flashpoint. Honorable Mentions: Rock of Eternity, Hall of Justice, Justice League Watchtower, Secret Sanctuary, Gotham Clocktower, Sinister Citadel, Shadow Gallery, Karnak, Injustice Gang Satellite, S.W.O.R.D. Peak, Titans Tower, Challenger Mountain, Trylon and Perisphere, Ha-Hacienda, Iron Man Armory, Tower of Fate, Checkmate Castle, Avengers Mansion, House of Secrets, House of Mystery, Oblivion Bar, Warriors, Sentry Tower, Monitor’s Satellite, Triskelion, Asteroid M, the Authority’s Carrier, and Legion of Super-Heroes Clubhouse. NextThe Comic Book Industry: Creator Rights or Wrongs? I forgot Son of Vulcan's Forge. Pity it was never expanded.